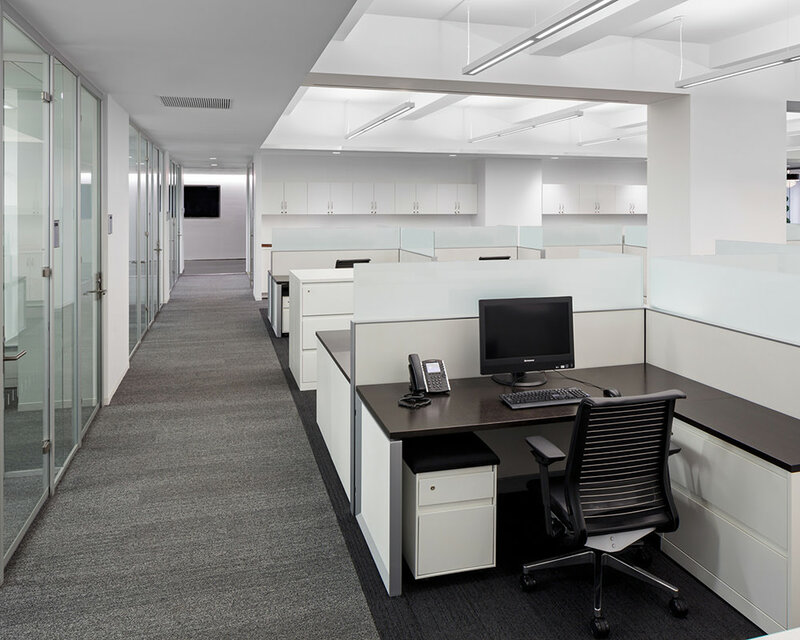 This internationally recognized multi-media company required a unique configuration: the client needed to able to display products for marketing, while also having the capacity for complete privacy for meetings. 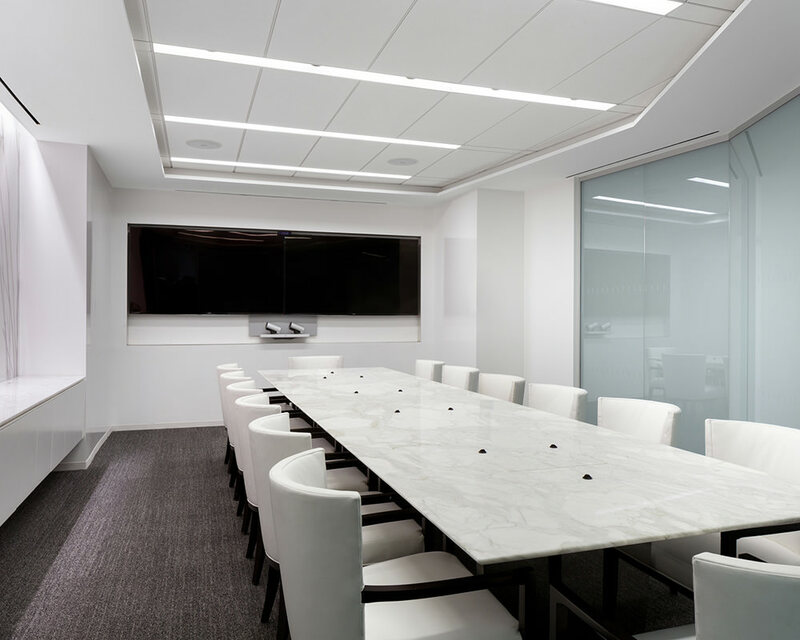 Additionally, they required a wall system that would give them sound privacy, and attenuate the sounds of Times Square outside from disturbing the office. To meet these challenges, The Switzer Group turned to Sky Walls. Our Horizon Series, coupled with electrified privacy glass in a double-glazed configuration, was the perfect solution. Allowing both privacy and clarity, the glass alternates between opaque and clear with the flip of a switch. The double glazing helps keep conversations private, and its unobtrusive, minimal framing blended seamlessly with the other high end finishes of the space.